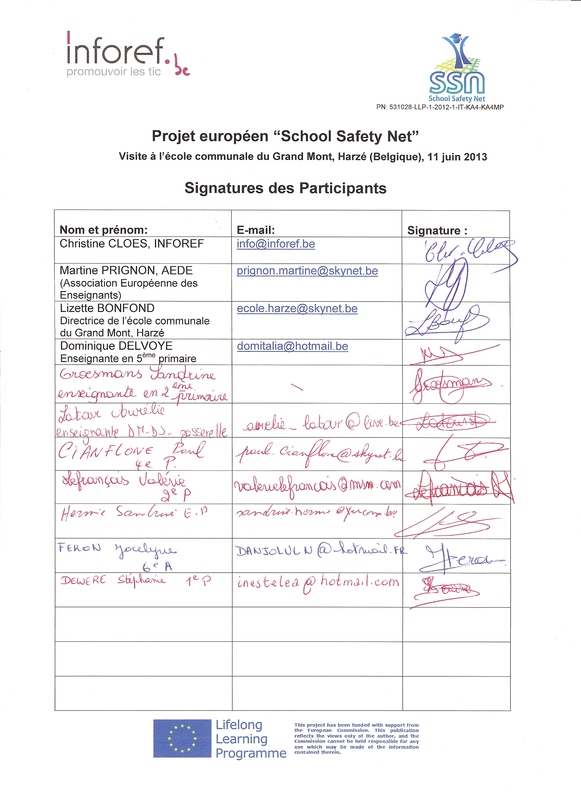 Meeting with the headmistress and the teachers of the primary school "Ecole communale du Grand Mont, Harzé" in order to present the results of the "[email protected]" project and to propose them to participate in the "School Safety Net" project. The headmistress and 8 teachers of the school. The headmistress and the teachers received information about the resources and materials available on the project Portal. They received the educational product dedicated to the teachers to fight school dropout (pattern of the "Cube").